GM’s leadership is choosing to close plants in Michigan, Ohio, and Canada. Almost 15,000 people are going to lose their jobs after an almost $50 BILLION dollar bailout, about a decade ago, that GM lied about paying back. Which is exactly what GM, the liberal media, and Democrats are trying to do. Blame President Trump for General Motors’ business decisions in hopes of hurting President Trump’s reelection. Put the blame where it belongs and that is on Mary Barra. 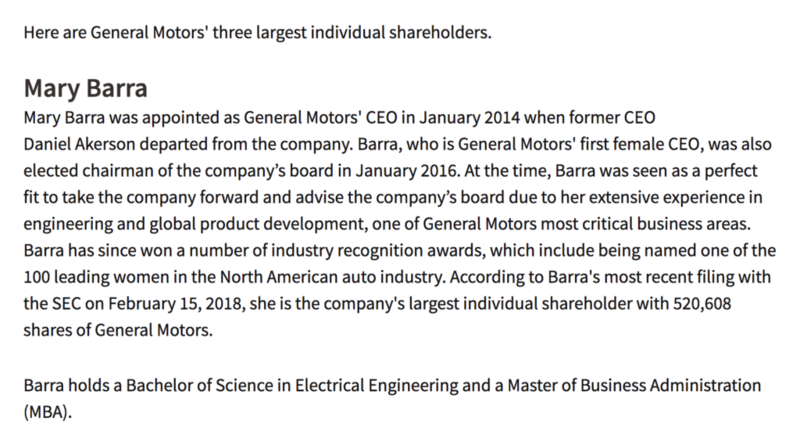 She is not only the CEO of General Motors but she is also the company’s largest individual shareholder with 520,608 shares of General Motors. Mary Barra puts herself and shareholders $$$ before American workers. Don’t let the media and Democrats blame Trump for this one.